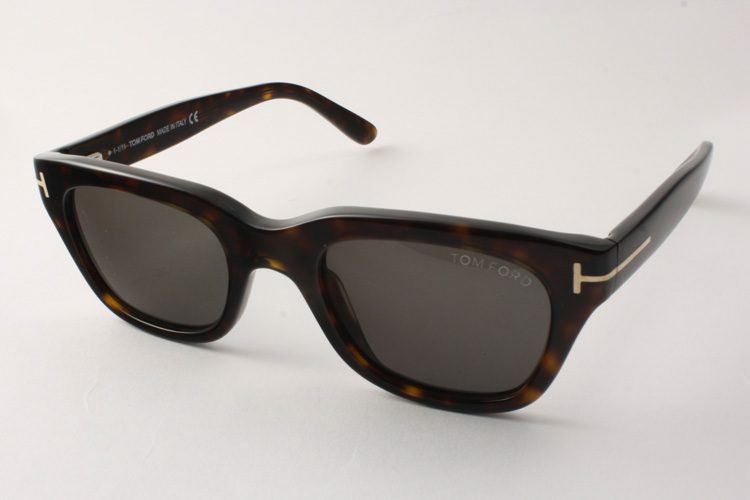 Tom Ford Snowdon FT0237 worn by Daniel Craig in James Bond Spectre. Black wayfarer style sunglasses. Tom Ford FT0237 52N Snowdon Sunglasses worn in James Bond film Spectre by daniel craig. 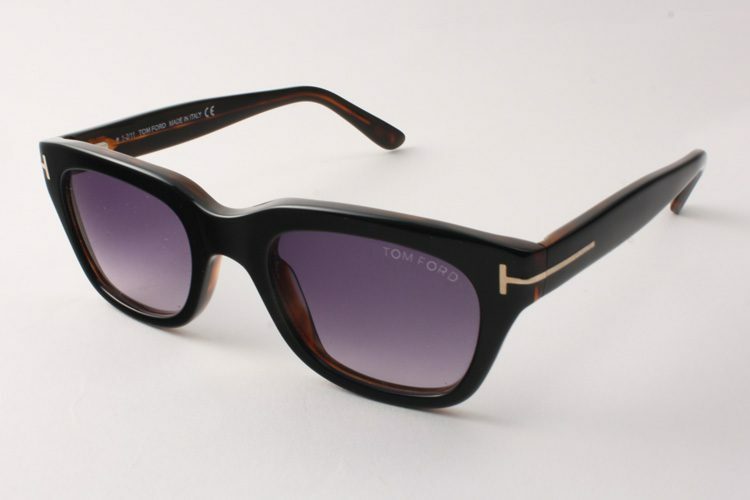 With their thick, chunky frame, the Tom Ford Snowdon sunglasses are a frame with a difference. The nose bridge dips down from the top of the frame protrodues slightly from the front. The arms get wider towards the centre and narrow as they reach the stems and encorporate the Tom Ford T-bar motif. The Tom Ford logo is subtly engraved on the left lens. Available in black and tortoise shell frames, with some styles having a graduated lens to give a softer look, which, along with the standard lens, provides 100% UVA and UVB protection. They come complete with an authentic Tom Ford suede case and box, a cleaning cloth and authenticity cards.